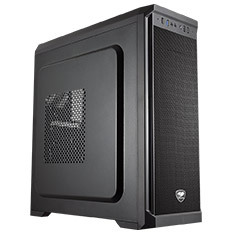 The The MX330 mid-tower case is the new edition to the MX Series in COUGAR’s product line. It has an elegant look, functional design, and durable construction, all while saving your hard-earned money. With a 500W power supply included, the MX330 brings you a stylish gaming case with brilliant inner layout.